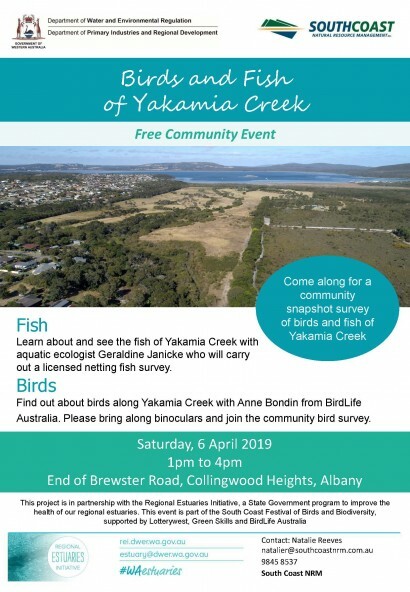 Learn about and see the fish of Yakamia Creek with aquatic ecologist Geraldine Janickewho will carry out a licensed netting fish survey. 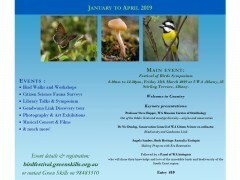 Find out about birds along Yakamia Creek with Anne Bondinfrom BirdLifeAustralia. Please bring along binoculars and join the community bird survey.